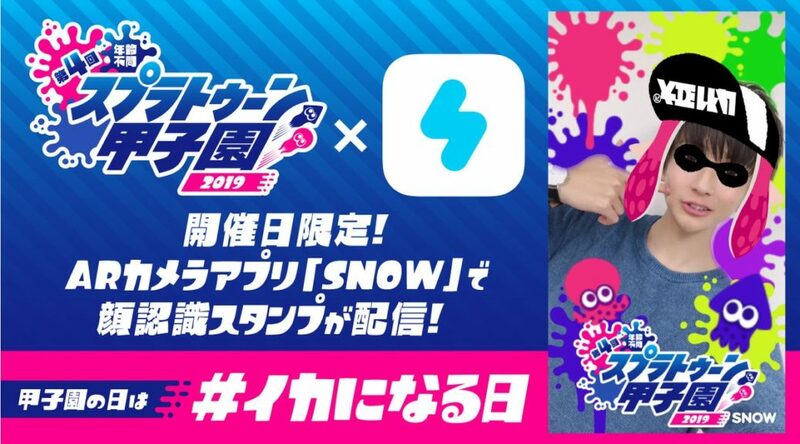 To celebrate the fourth Splatoon Koshien tournament, a special facial recognition stamp will be distributed in AR Camera app SNOW. The stamp will make the user look like an Inkling Girl. It’ll be distributed in the app between July 28 00:00 JST and July 29, 2018 23:59.